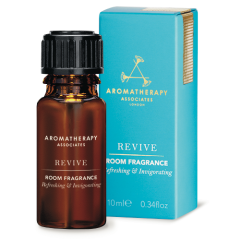 Re-charge for the evening ahead with this revitalizing Bath & Shower Oil. The perfect addition to your Revive Collection, the Revive Body Lotion nourishes your skin and leaves you feeling refreshed and prepped for a busy day ahead. A refreshing exfoliating scrub suitable for all skin types and recommended for dry and dull looking skin to give you a boost of energy for the day ahead. Instantly refresh your mind and body with the powers of Grapefruit, Rosemary and Juniper essential oils in this revitalizing body gel!